I am a simple man: when I see Game Boy Advance era art, I'm immediately drawn to it. Created by Sea Handler Art, this fantastic rendition brings the Phantom Thieves to the forefront of a bygone handheld, and I have to say, it fits. 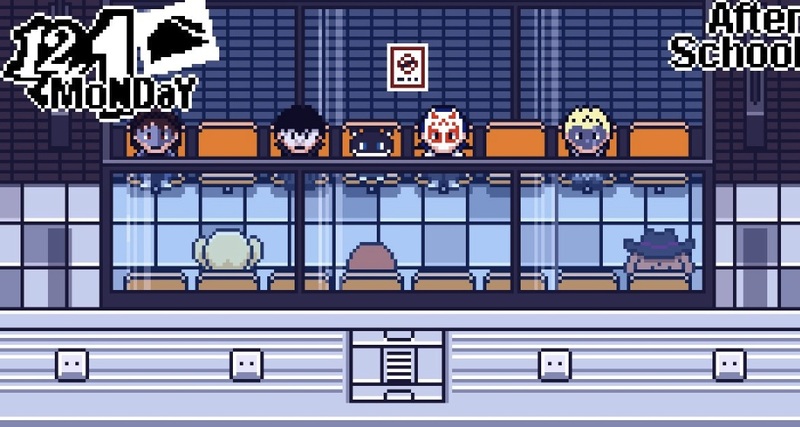 Although the Game Boy Advance was around after the Persona series was invented we never really got to see the two meet: though there were a few Shin Megami Tensei mainline and spinoff titles produced for it. I hope the Game Boy Advance makes a comeback again, whether it's by way of the new incarnation of the Virtual Console on Switch or a "GBA Classic" device. Given that it can play original Game Boy and Game Boy Color joints it would be perfect for the treatment.